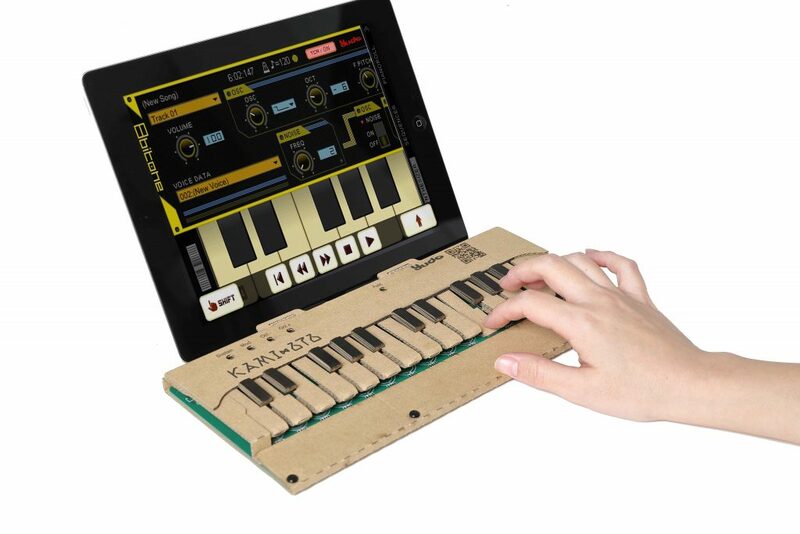 We made a fun to make cardboard musical keyboard kit. To expand all over the world, we decided to launch KAMI-OTO project at Kickstarter! You can order KAMI-OTO here! Please support this project. We start a project at Kickstarter.com which is one of the biggest website for crowdfunding. We will take order request there. 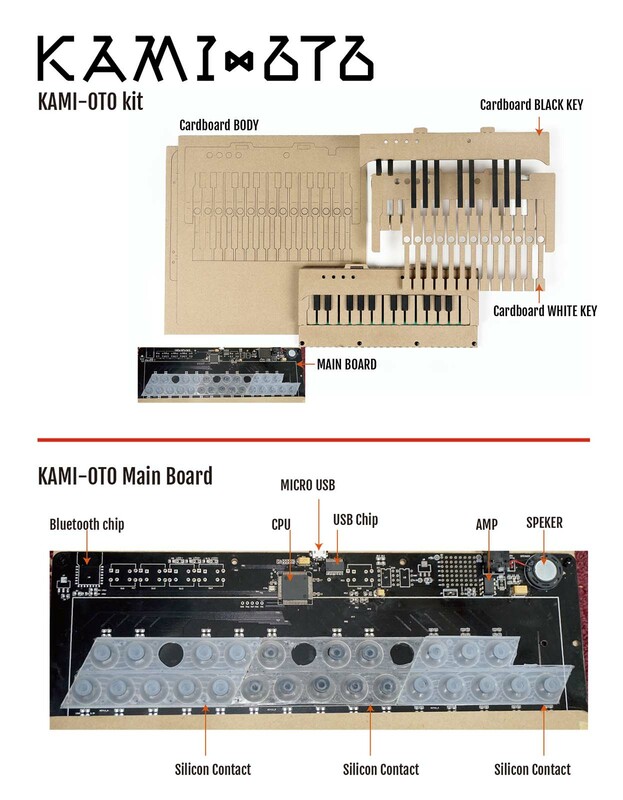 KAMI-OTO is a fun to make cardboard DIY MIDI musical keyboard kit. Enjoy mounting the silicon rubber contacts to the circuit board and assembling the cardboard musical keyboard.